Actress Shruti Haasan, who recently made an appearance at the 70th Cannes Film Festival representing Sundar C's film Sanghamithra as the female lead, has backed out from the project. The 31-year-old actress was supposed to portray the role of a warrior princess in the film and had begun training for the same. In a statement, the Ramaiya Vastavaiya actress' spokesperson said that she had 'not received a proper bound script or a proper date calendar' from the makers of the film. Shruti Haasan along with music composer A R Rahman made an appearance at Cannes to launch the film. Sanghamithra is the first installment of Sundar C's two-part magnum opus. The film will be produced by Thenandal Studios. Sanghamithra also features Jayam Ravi and Arya in pivotal roles. In a statement, Shruti Haasan's spokesperson said: "Shruti has, unfortunately, had to take a call not to be part of Sangamithra. Knowing it was a massive undertaking and a long commitment spanning over 2 years, she knew the importance of her training, a comprehensive script and proper date calendar. She hired and started training with one of best combat trainers April onwards to make sure she was ready in time for shoot. Despite her enthusiasm and commitment to Sangamithra, she has had to give the film a miss since she had not received a proper bound script nor a proper date calendar." "She is currently caught up with promoting her Hindi film Behen Hogi Teri, prep for Sabash Naidu and her musical associations," Shruti's spokesperson added. 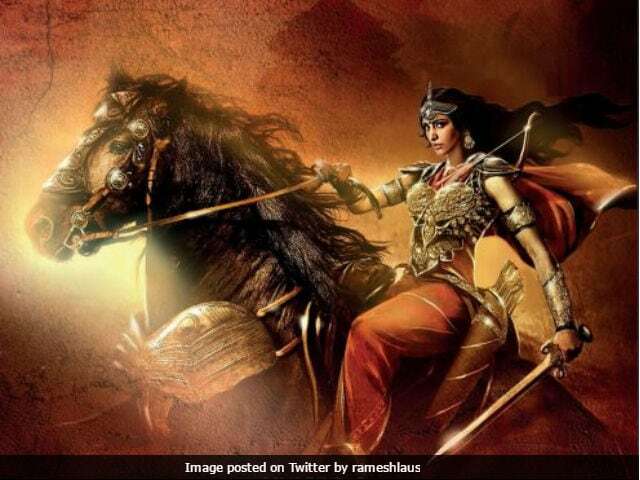 The first poster of Sanghamithra was unveiled on May 18. In the poster, Shruti Haasan looks majestic donning the look of a warrior princess. Sanghamithra will be released in Tamil, Telugu and Hindi simultaneously.